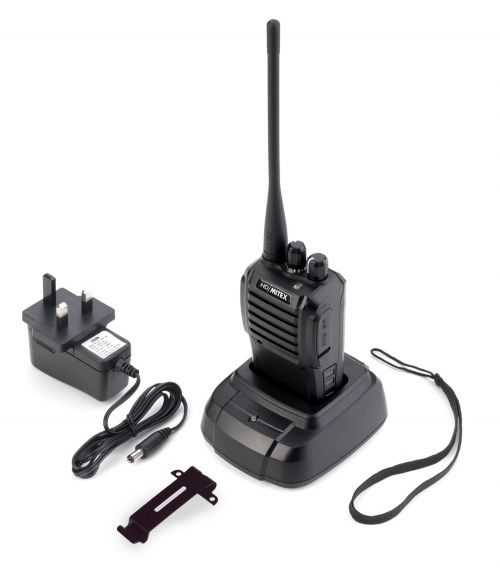 RadioPro is a UK retailer of Two Way radios (walkie talkies) and accessories. Whilst being primarily based in Northamptonshire, in 2016 we became an exclusively E-Commerce based company, enabling us to remain competitive in this ever advancing market. 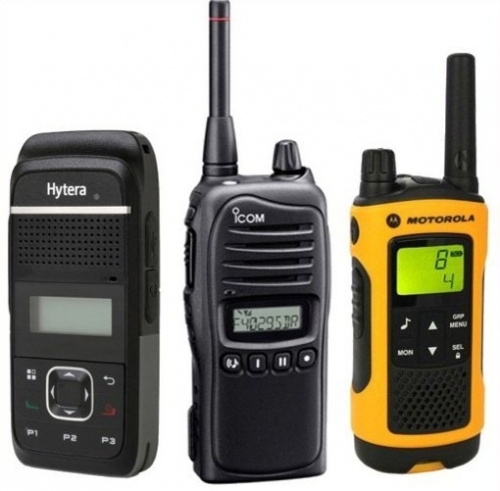 Our range is comprised from the top selling brands; Hytera, Icom, Kenwood, Mitex and Motorola. We have selected the best models from each brand to give you a more refined choice, with each radio offering something different, making it easier to find just what you need in a market that's bursting with choice. 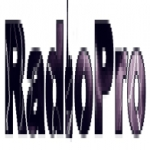 RadioPro started out in 2006, initially providing a vast range of repeaters, mobile and handheld radios and aftermarket accessories; both new and used, for retail or hire. 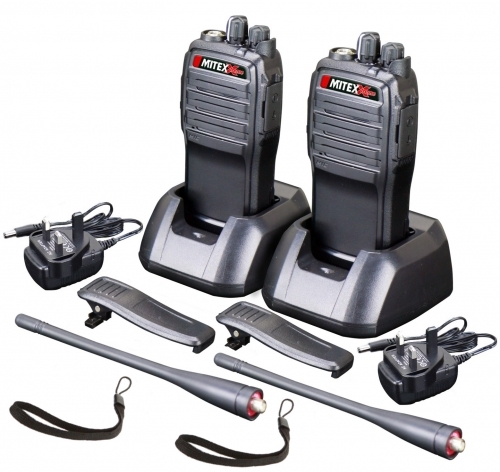 We later condensed our range to the specific retail of handheld Two Way Radios (walkie talkies) and their accessories, narrowing our selection to only the best brands and models to give customers the best choice whilst still catering for every need and budget. 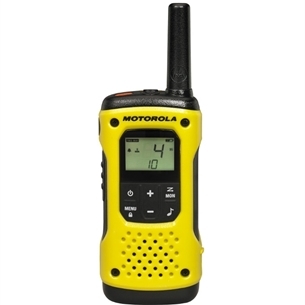 This license free radio from Motorola gives you a full range of features all packed into a neat,stylishly designed yet very robust handset. 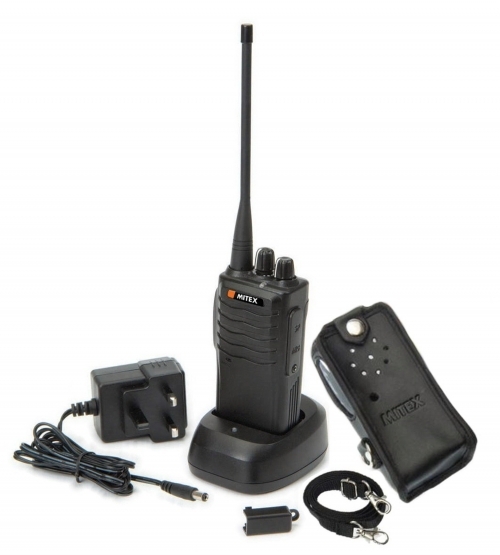 Waterproof and durable, this radio is ideal for those wanting low range communications for harsher environments. 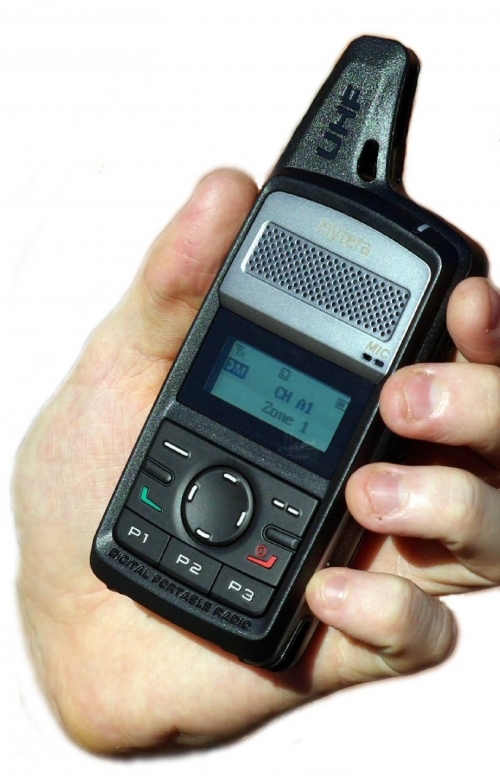 This stylish, compact design gives a whole new look and feel to the two-way radio market. 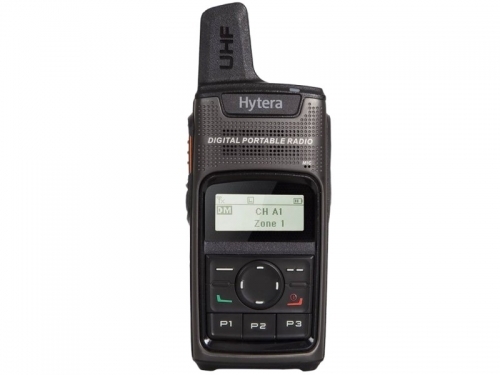 Packed with features, amazing audio clarity, and digital technology makes this radio a "must-have" for those needing reliable, longer range communications. 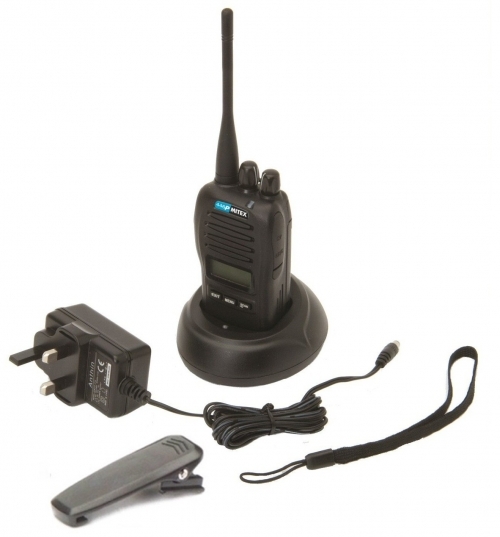 A professional grade License Free two way radio that is compatible with ALL analogue license free radios in manufacture - any make, any model. With it's unique scan & trap function you can connect with any user on license free frequencies. 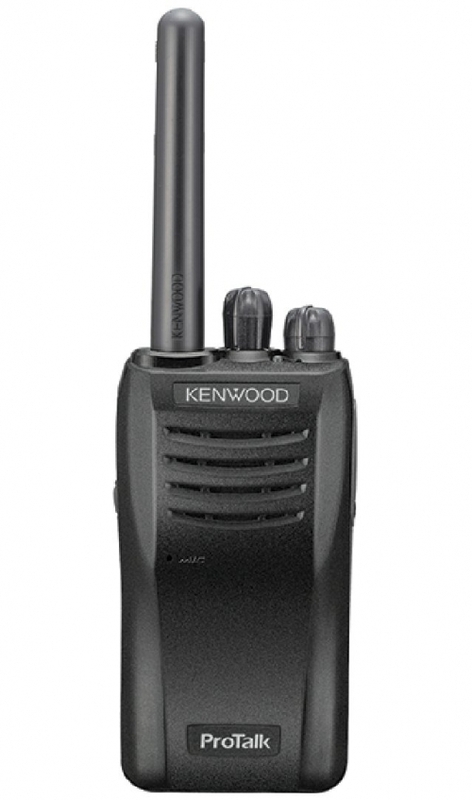 Compact, easy to use, sleek design - the Kenwood TK-3000 UHF handheld radio is a great choice for those needing simple communications that can still keep pace with a busy work site. With loud and clear audio and up to 9 hours use with one charge. 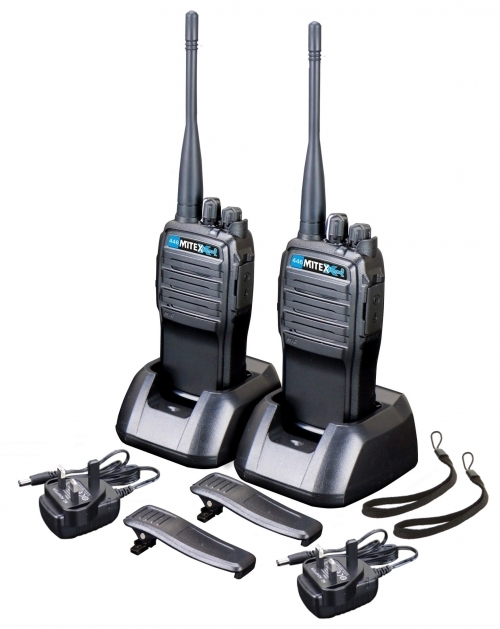 This simple, easy to use, yet rugged design is the perfect choice for those looking for "no-fuss", dependable communications in harsher environments. 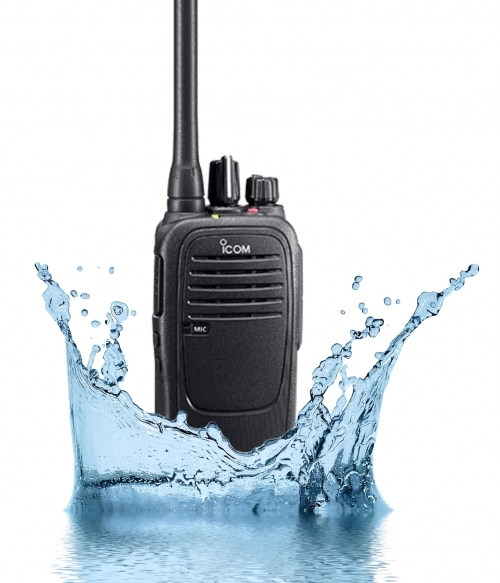 IP67 rated, it's completely waterproof and being digital it gives you crystal clear audio. 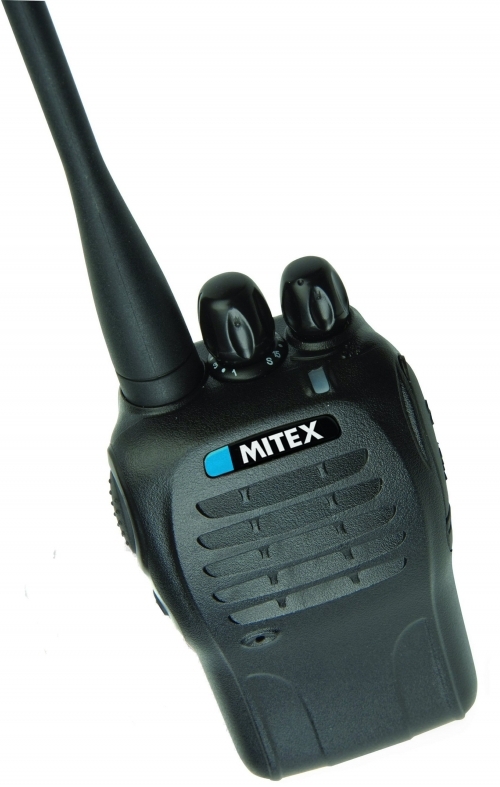 This durable, high quality UHF Mobile Radio is ideal for all existing users of Mitex UHF licensed handheld radios. Designed for individuals requiring vehicle use or business users requiring an "in vehicle" communication need along with handheld use. 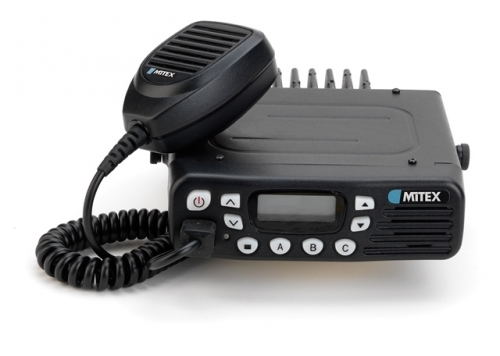 The Mitex General DMR digital radio is extremely rugged and durable. With both analogue and digital channels so you can continue to use it with your existing analogue radios. Crystal clear audio quality and reduced interference with digital channels. A waterproof handset designed to float if dropped in water. 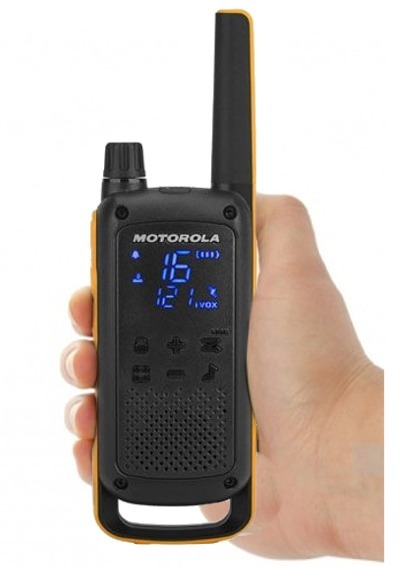 With it's bright high-vis colour and automatic LED function, you'll be sure never to lose this radio. Ideal for use in water-sports, sailing, hiking, orienteering, galas, mountaineering and more. 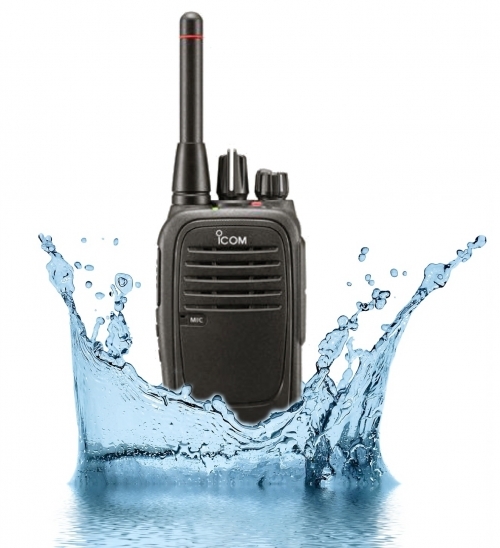 This waterproof, license free radio from Icom is a simple to use radio with a slim yet rugged design - the perfect choice for those wanting hassle-free communications for the harder working individual exposed to harsher environments. 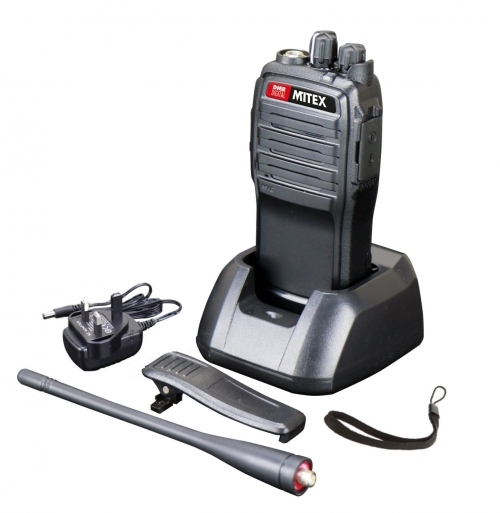 This Mitex model is dust, dirt, water and shock resistant to a standard that's almost waterproof. 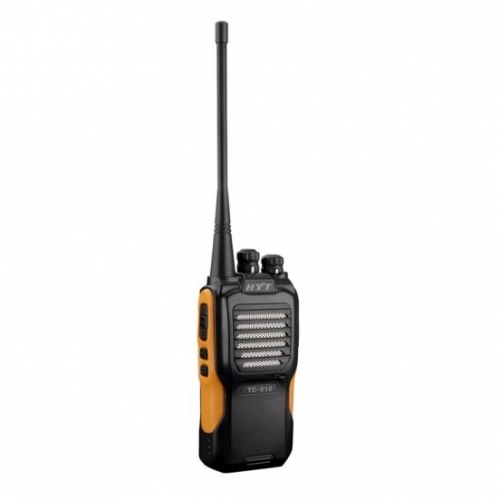 With a heavy duty, compact design this radio will keep pace no matter the environment. Pre-programmed to work with existing Mitex license free models. 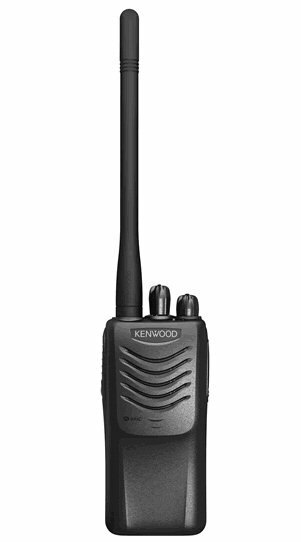 Sleek design and simple to use, the Kenwood TK-3501 radio is a great choice for those needing small distance, low range, yet reliable communications. With loud and clear audio and features such as calling alert, key lock and low battery warning. 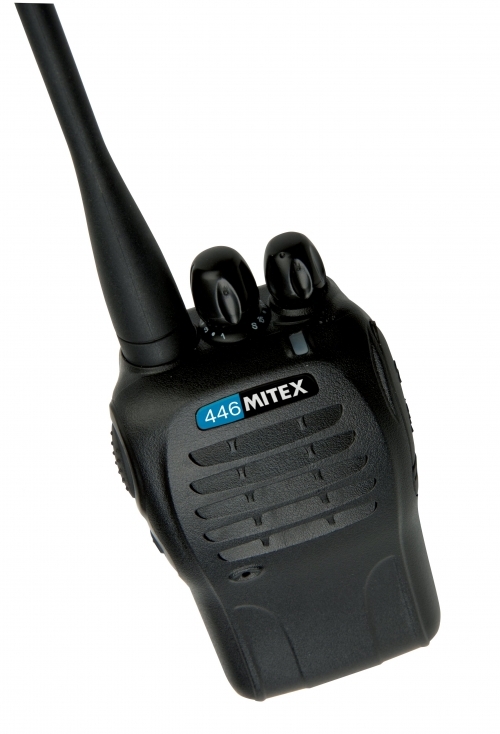 The Mitex Sport is designed specifically for the great outdoors; and an affordable step up from the license free PMR446 on the market. Designed to embrace the rigours of the Sport & Leisure industry, ideal for those who prefer the great outdoors. This compact, durable, splash proof model is ideal for users who need something that works as hard as them. IP65 rated making it dust, dirt and water resistant and a durable design means this little handheld can endure harsher environments and keep pace. 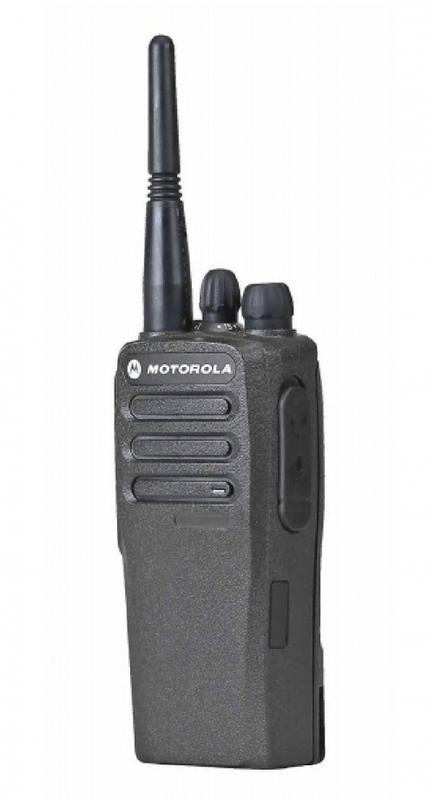 The Motorola DP1400 Digital model is a comprehensive handheld radio giving you the audio clarity of digital, with added features not available with the analogue model. Emergency Call, Group and Individual call capability and much more. 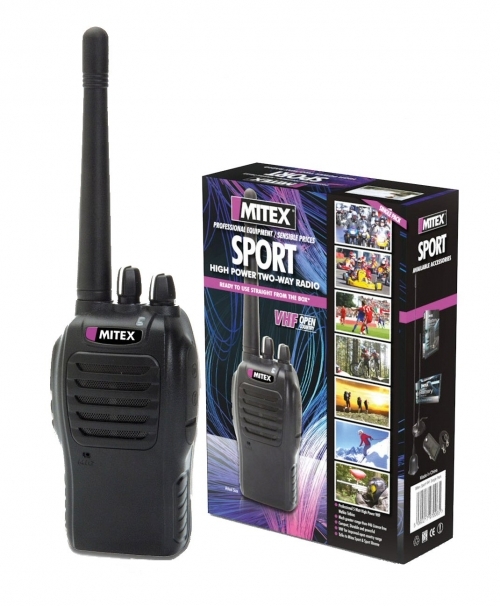 This compact, stylish design has all the look, feel and functionality of a mobile phone but as a handheld radio. Packed with features such as one touch voice call or text messaging and the fantastic crystal clear audio guaranteed with digital technology. IP66 rated - one standard away from completely waterproof. With it's sleek but robust design this radio is perfect for harsher environments such as humid areas, outdoor tasks, boating, camping, hiking, orienteering, garages, restaurants, pubs & clubs. IP rated & highly durable - the perfect solution for keeping in contact even in harsh environments. Ideal for the more "heavy handed" user in areas such as warehousing, shot-blasting, sandblasting, garages, food retail, animal care, farming, landscaping. Designed for harsher environments such as building sites, sand blasting companies, industrial warehouses, outdoor events, car parking, and many more. It's robust design makes it ideal for the more heavy handed user and comes complete with leather case. Designed for the security industry or users needing more private channels. Programmed with obscure tones to give you less interference from other users of 449 frequencies, this radio is perfect for easy, simple, semi-secure communications. Very fast delivery of an excellent product. Seller very highly recommended. 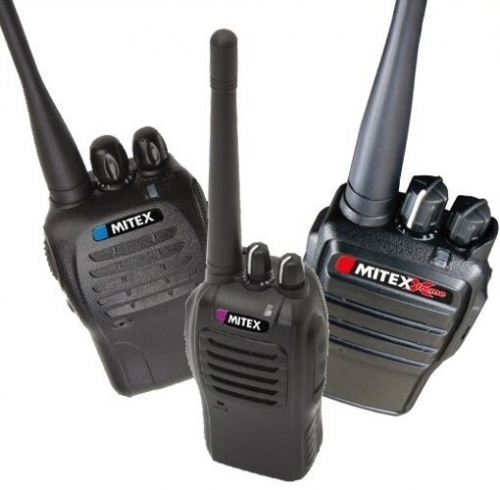 Nice radios, these were an upgrade from Mitex General, worth up grading if you can. Usual brilliant service - arrived days before estimated delivery date. Excellent product too. Highly recommended! Spend £30 or more and receive 3% discount off the total. Applicable on our entire product range. Terms: Enter code SCOOT at checkout for discount to be applied.